Call Now for all Your Tax Needs! Pat A. Turner, Corporation Attorney & CPA is certified and knowledgeable in CPA services as well as a skilled attorney. 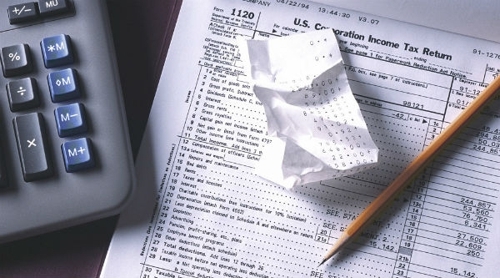 Our team brings an advanced level of expertise to all types of tax preparation. We offer a unique method of tax solutions to assure that clients are completely aware of their case progression on a step-by-step basis. We employ an experienced and talented staff that works efficiently and effectively to reach a favorable resolution concerning tax, tax audit, accounting, and legal services that you may require. We serve Folsom, El Dorado, Placerville, Shingle Springs, Cameron Park and surrounding areas. Our firm is committed to positive client relations. Call (916) 365-2324 and see how we can help you today! We have successfully resolved tax problems for hundreds of clients. Our firm is adept at handling complex tax issues and providing successful resolution to most cases that involve the IRS. Avoid liens, bank levies, and wage garnishments - call Pat A. Turner, Corporation Attorney & CPA today. We take the stress out of your tax problems! Call our office to schedule an appointment today at (916) 365-2324! Copyright © 2018 pattaxlawca.com All rights reserved.